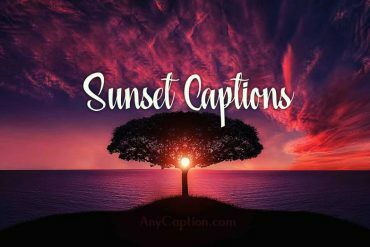 Happy Captions : They say that happiness comes straight from heaven. It’s a divine feeling that no worldly experience can explain. But none of them came back from heaven to tell us the story. Whatever we see or feel is completely what we experience in this world. There are millions of simple things in life that can make you smile, make you feel happy. And when you do feel happy, you really want to capture that moment and share it with your friends on Facebook or Instagram. 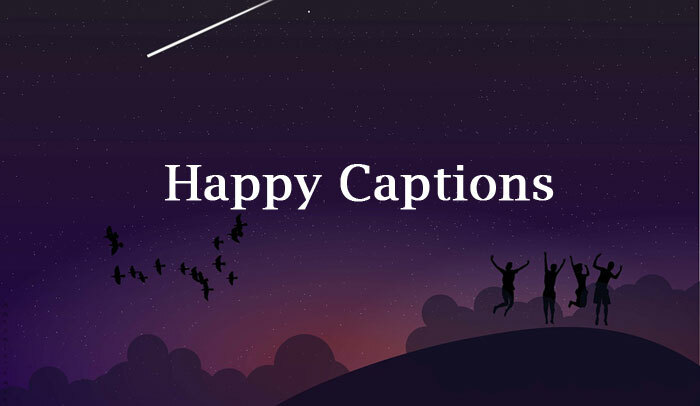 Your moment of happiness can be more colorful if you add some wise or funny happy captions with them. 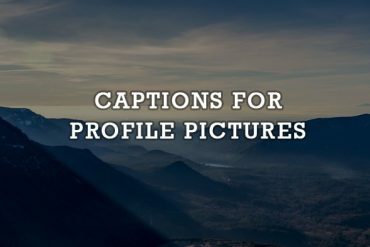 Posting your selfies with some happy captions can be a good way to open out some motivation. Pick the one you like most and place it under your selfie and let it help make your day a little brighter. It’s a better way to express your happiness with the help of inspirational or short quotes and post on social media like Instagram or Facebook. I have only two kinds of days: happy and hysterically happy. It’s the moments that I stopped just to be, rather than do, that have given me true happiness. I am very happy because I have conquered myself and not the world. I am very happy because I have loved the world and not myself. The situation of life shifts between bad and good times. You may be happy now, enjoying your life to the fullest. You have a smile on your face and you feel like the happiest person in the world. Well, this is the best moment to take a picture and upload that on Facebook or Instagram. 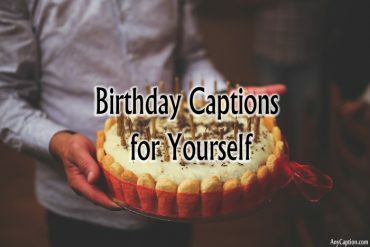 Pick the best one from my happy life captions and tag them with pictures of yourself. Happiness found a soul mate in me. No matter how hard I try, I can never be unhappy. If I type my life in Google, it shows do you mean happiness? I only learned one thing in life. Being happy. Happiness left sadness to be with me. That’s why sadness is so sad. I don’t believe in a happy ending. I believe in happy now. 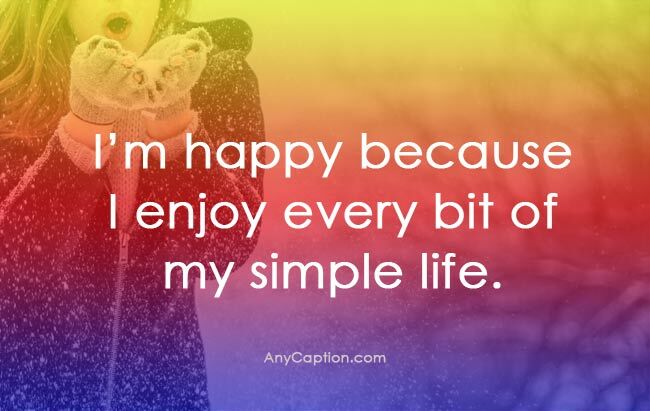 I’m happy because I enjoy every bit of my simple life. Happiness is not a good looking guy. If it doesn’t come to you it means you are not easily impressed. I wouldn’t know how to appreciate happiness if I never had sad times in my life. I don’t cry for a perfect life. I’m way too happy just because I’m alive in this beautiful world. Nothing lasts forever. Your ‘feeling happy’ moments need to be shared with your friend. You may want to remember these moments when you are not much happy. And when you do remember these moments by browsing your photos on Instagram or Facebook timeline, you want some words that’ll remind you of something special from that memory. That’s why you need to put some feeling happy captions there with your cute selfies. This is my day, I will live my life how I want it to be, who knows what will happen tomorrow. I like what I am doing and there is freedom in doing the things that you like, so I am happy. Smile attracts happiness like a magnet. Being happy is my favorite style. 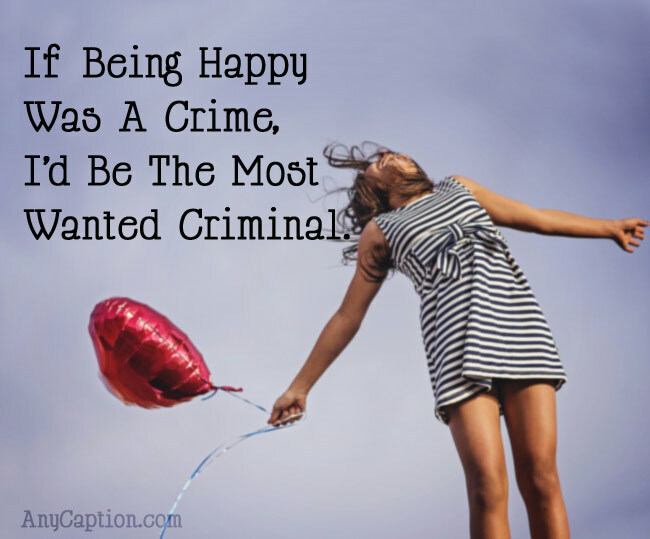 If being happy was a crime, I’d be the most wanted criminal. Sorry, even the latest update of my life does not feature an unhappy button. If sadness bothers you, tell him I’m feeling happy. I have a deep feeling of happiness. It never goes away. I don’t smoke weed. I don’t do any drugs. I’m always high on happiness. I’ve just discovered a million ways to be happy in life. Simplicity is the pre-requisite for happiness. Happiness isn’t rare or limited. It’s just not for the complicated minds. Happiness is everywhere, yet it’s the most searched for. Your friends may flood up your homepage posting about all the sad aspects of their life and how they failed to find happiness in life. Well, it’s time that you be the wise guy that says some wise words about finding happiness. 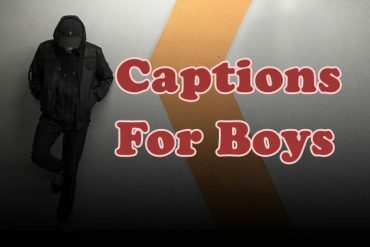 Choose a suitable photo to upload and try one of these finding happiness captions. Just show them how to be happy in life. Happiness isn’t out there waiting for you. Find it in your heart first. You see happiness ‘in’ other people but why don’t you look for it ‘in’ you? 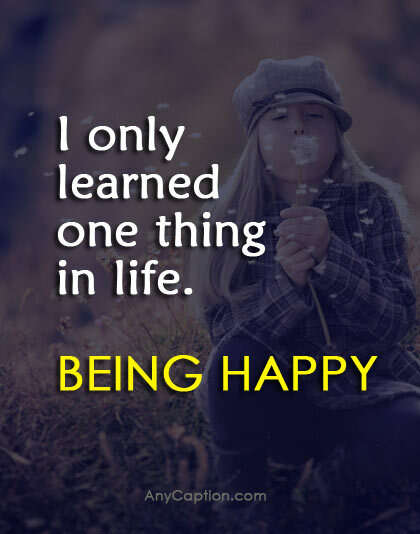 Being happy isn’t as hard as sitting back and crying for it. Be friends with Knowledge. He’ll tell you where to find Happiness. If happiness was kidnapped and locked in a room, simplicity would be the only key for the lock. Go back to what made you smile. That’s where happiness lives. Lead a simple life with good intention. Happiness will find you. Do you know why Wise people don’t waste time looking for happiness? Because they know it’s an abstract noun. Happiness doesn’t have an address, it’s everywhere. Find love. Because love is the closest companion of happiness. 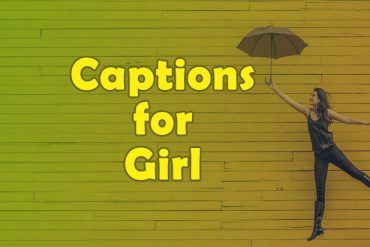 All the cute pictures of yourself and happy moments photos do deserve to be served by some happy captions on Facebook or Instagram. So, if you’re happy, share happiness. And if someone is not happy, tell them how to find happiness, where to look for it first. Feel free to share this page with your loved one and friends to help them be happy and they could have inspiration from your happy life.